One common problem faced by people who attempt to make major changes in their life is the tendency to choose short term benefits today over long term benefits tomorrow. If you are considering a weight loss program in Beverly Hills or any other major life change for that matter, you may be interested in the results of a recent study conducted at Stanford University highlighting the power of visualization to change the way that people behave. The study used virtual reality technology to enable participants to use special goggles to interact using an avatar, or digital version of themselves. When participants were tasked with spending a virtual $1000 in any way that they chose, the study found that participants who looked like an older, more wrinkled version of themselves chose to save their money at a percentage greater than twice the rate of participants whose avatar resembled their current selves. This result highlights the power of future visualization as a powerful motivator in other areas where people desire to make major change as well, including relationships, finances and health. So if you are considering making changes in your life like quitting smoking, changing careers or choosing a weight loss program in Beverly Hills, it is possible that one of the biggest factors in your ultimate success could be your ability to vividly visualize the final results desired. 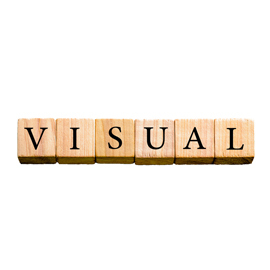 Some low tech ways to take advantage of the power of visualization include writing down your goals, making a vision board to help you see what accomplishing your dreams could look like, and finding a friend with similar interests to help you stay focused on the finished line.